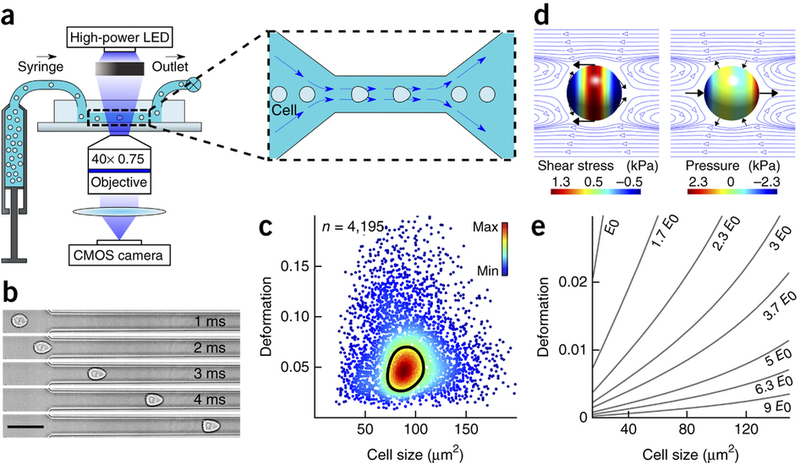 An entirely new approach for the mechanical characterization of cells, developed by scientists of the Technische Universität Dresden (TU Dresden), has the potential to revolutionize the diagnosis of a wide range of diseases. Cells, like any other material, have mechanical properties that can serve for their characterization. For example, cancer cells are characteristically more deformable than healthy cells. 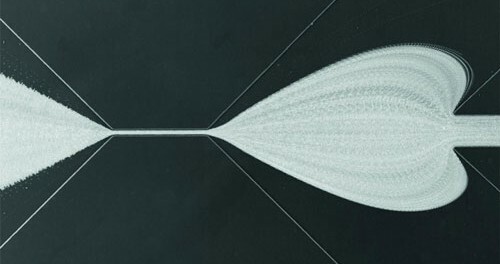 These mechanical properties can be determined without specialized, costly and time-consuming preparation, which makes them highly attractive for diagnosis and prognosis in medical applications. However, there has so far been a lack of an adequate method to mechanically screen large populations of cells in a short amount of time. Scientists at the TU Dresden have now presented a novel method, which addresses this need and which will help to answer many open questions in biology, physics, chemistry and medicine. The method is now being published in the current issue of Nature Methods. Cells are small, with a size of a tenth of the diameter of a human hair. 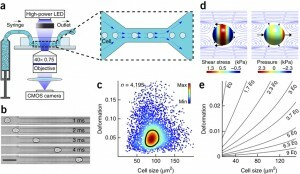 This small size poses a significant challenge for the detailed mechanical characterization of single biological cells. Current methods available for such characterization are technically involved, difficult in their handling, and limited to small cell numbers and low measurement rates. Their application has, thus, so far been restricted to basic research. The team around Professor Jochen Guck at the Biotechnology Center of the TU Dresden (BIOTEC) has now developed an innovative technology that addresses all these problems. “Real-time deformability cytometry” (RT-DC) enables the continuous, on-the-fly mechanical screening of hundreds of cells per second. This is not two or three times faster then previous techniques, but 10.000 times faster! The basic working principle and several areas of application of RT-DC are now being presented in the internationally renowned journal Nature Methods (DOI: 10.1038/nmeth.3281). Amongst other applications, the scientists demonstrate the mechanical fingerprinting of the different types of cells contained in a drop of blood within a few minutes. Due to the very high throughput of RT-DC, even white blood cells, which are greatly outnumbered by the red blood cells by roughly 1:1000 can be reliably characterized. This is important because white blood cells constitute an important part of the immune system. Any characteristic change in their mechanical fingerprint could in future be used by medical doctors for a faster and better quantitative assessment of the health of patients. The advent of this new and super-fast cell mechanical screening technology has already now been met with spectacular reception on a local, national and European scale. For one, the Diploma thesis by Philipp Rosendahl from the team of Prof. Guck, which laid the technological basis of RT-DC, has just been recognized with one of four Georg-Helm Prizes as an outstanding student thesis at the TU Dresden in 2014. Prizes by the German Society of Cytometry for valuable research contributions, and by the innovation support project CrossClusterCooperation-Saxony, as well as many scientific collaborations across Europe testify to the significant impact RT-DC already has in science and industry. The European Research Council supports commercialization with one of its “Proof-of-concept” grants. Also the State of Saxony has realized the potential of RT-DC early on and fosters the project through funding specific for the translation of basic research results into applications in biotechnology and life sciences. A next step is the commercial distribution of the RT-DC technology to a wide range of university and industrial researchers by the spin-off company “ZellMechanik Dresden”. The far goal is the development and commercialization of a dedicated, stand-alone diagnostic device.